On when he will back, Blair said: “sooner rather than later.” He adds that they don’t have a definite timeline yet and cannot have a player that is not 100 per cent fit. Gray, who has been capped 64 times already in the Scottish side, missed the training camp last week. 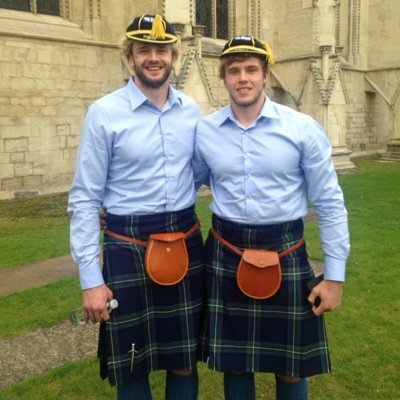 His brother Jonny Gray was part of the squad named by head coach Gregor Townsend for the Six Nations tournament. Jonny says he will miss him and that it would have been great to have him in the team. He hopes his brother return to full fitness soon as he doesn’t think the injury is that serious. The Scottish team has had several injuries in the front row. Darryl Marfo, Allan Dell, Al Dickinson, Fraser Brown, Ross Ford and others are still sidelined. They team would need to get the rest of the stars set for the Wales clash on February 3 before they face France on the 11th. Then England is next on 24th Feb and then Ireland on March 10 and finally Italy on Mar 17.